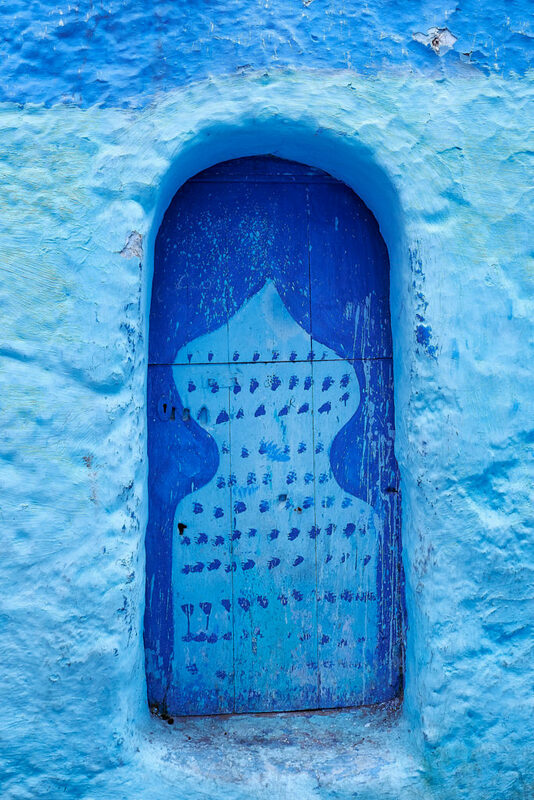 Nestled in the Riff Mountains in northwest Morocco lies Chefchaouen, with it’s ancient gated medina where every day is a blue day. At first glance, everything just looks…well, blue. 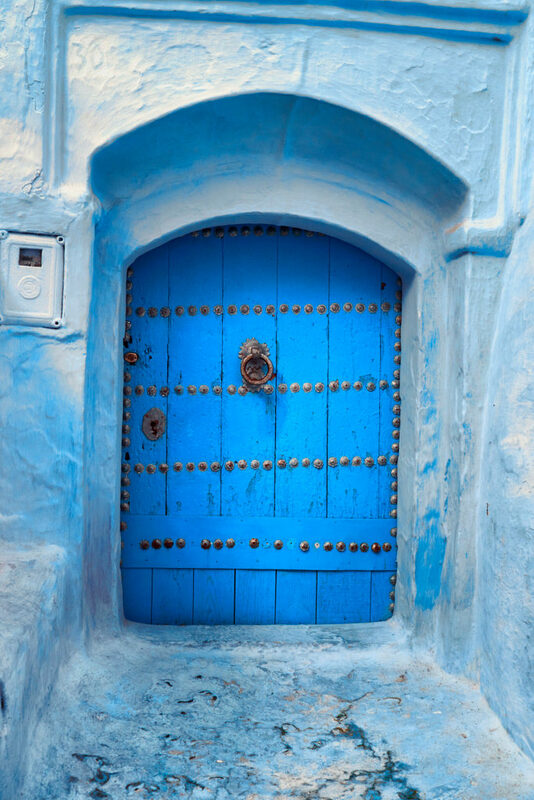 But as you wander the labyrinth of streets, alleyways, and courtyards and your eyes adjust to Morocco’s “blue pearl”, not unlike how they adjust to the dark of night, a myriad of shades emerge. 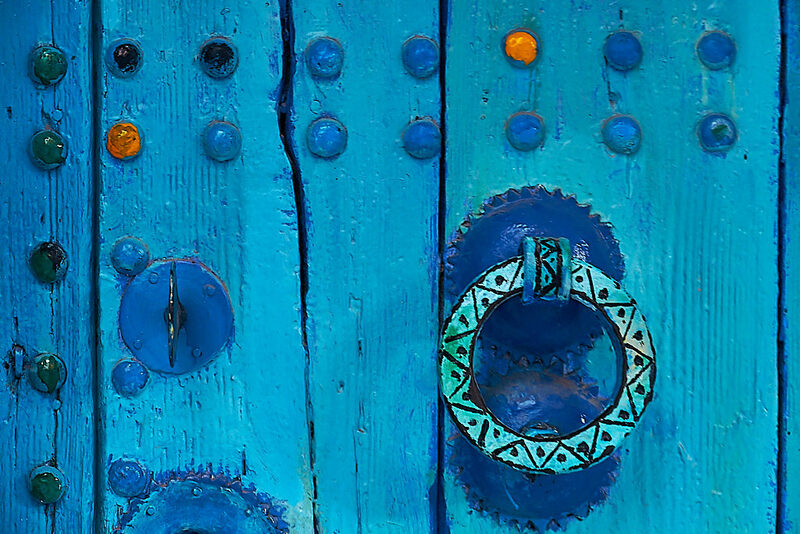 You begin to realize that Chefchaouen isn’t just blue, it’s turquoise and sky blue and indigo and cerulean and cobalt and baby blue and robins-egg and lapis and royal and cyan and Majorelle and periwinkle. 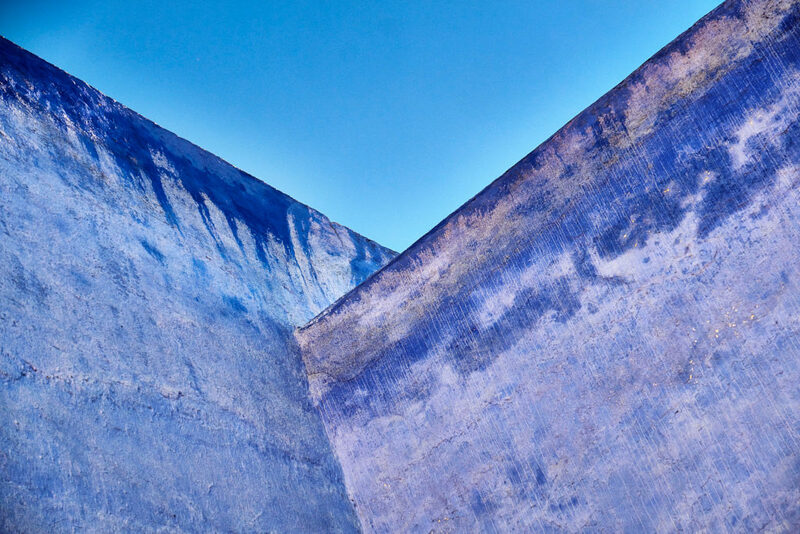 Layer upon layer of blue upon blue. And just when you think there are no more shades of blue to be had, the light shifts and new shades of blue magically appear before your eyes. 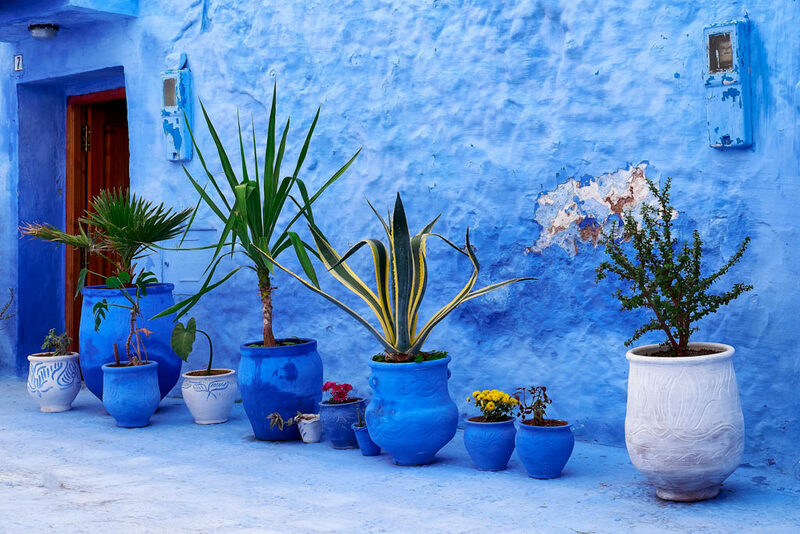 Often the blue is juxtaposed with bright white trim and terra cotta roofs, while a rainbow of flowerpots, shoes, and rugs punctuate the walls. But it is, without a doubt, the infinite shades of blue that mesmerize and cast their spell on you. 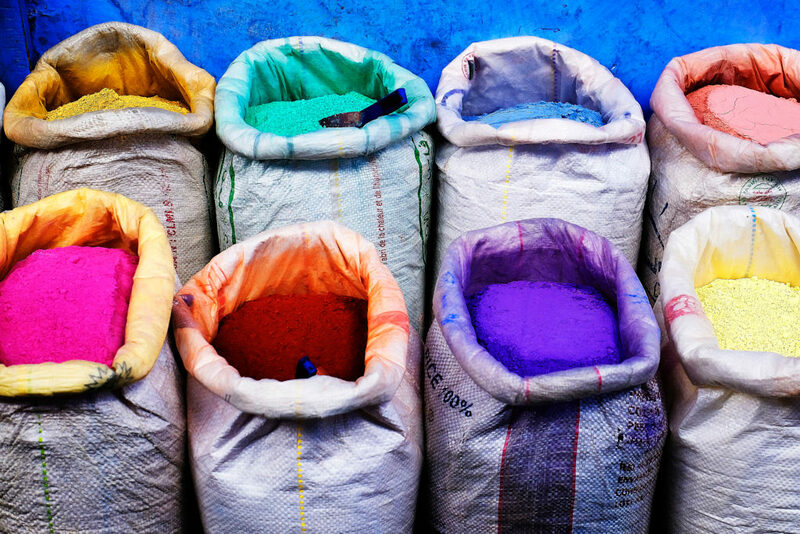 Painted using talc or chalk-based paints, residents are responsible for keeping their homes and stores blue, painting them several times a year. 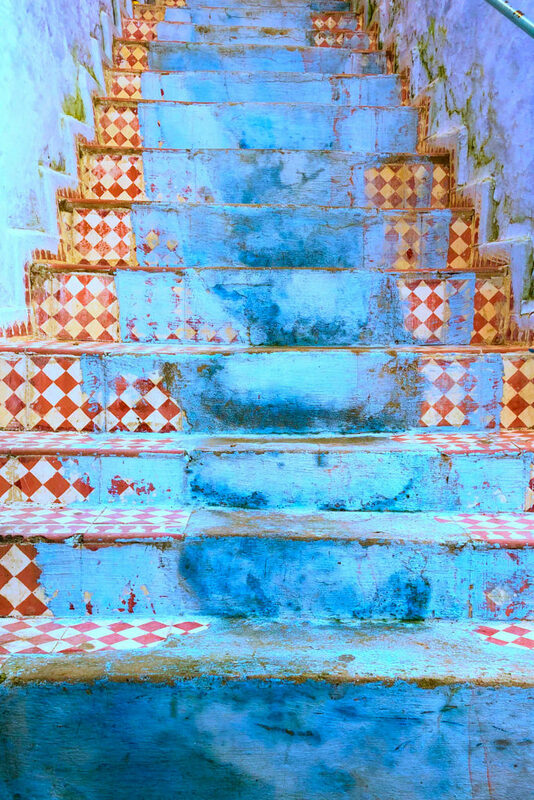 In some areas even the pavement is awash in blue, becoming a visual key to through streets and dead-ends. 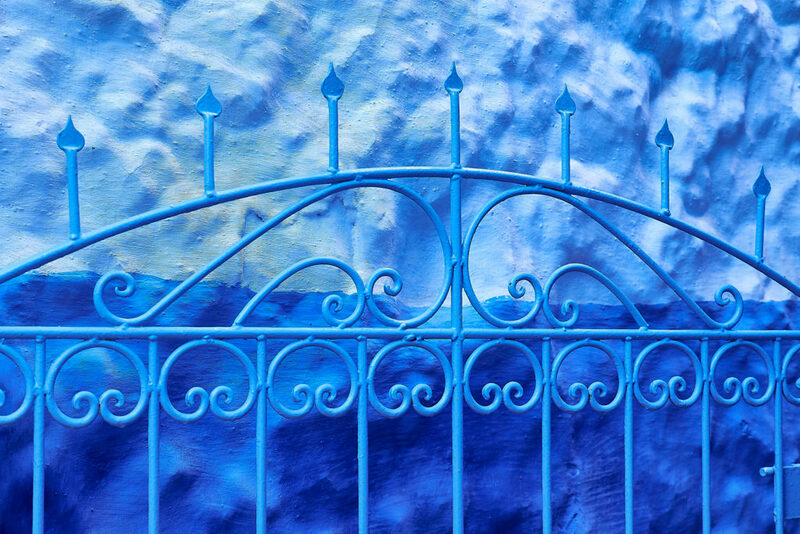 The explanations for Chefchaouen’s blue are many and varied. 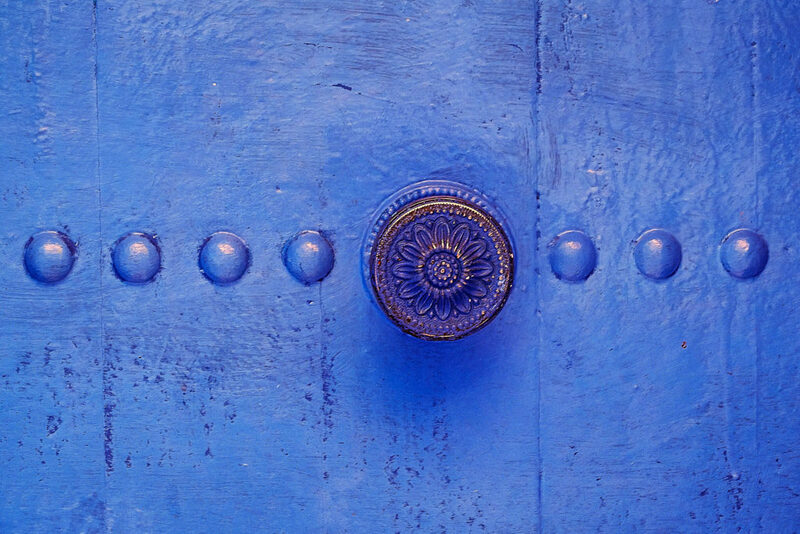 Some say the blue goes back centuries to the arrival of Jews escaping the Spanish Inquisition in the late 1500s and their tradition of using blue to remind people of heaven and God’s power. Others say painting the buildings blue helps to keep them cooler in the summer heat. 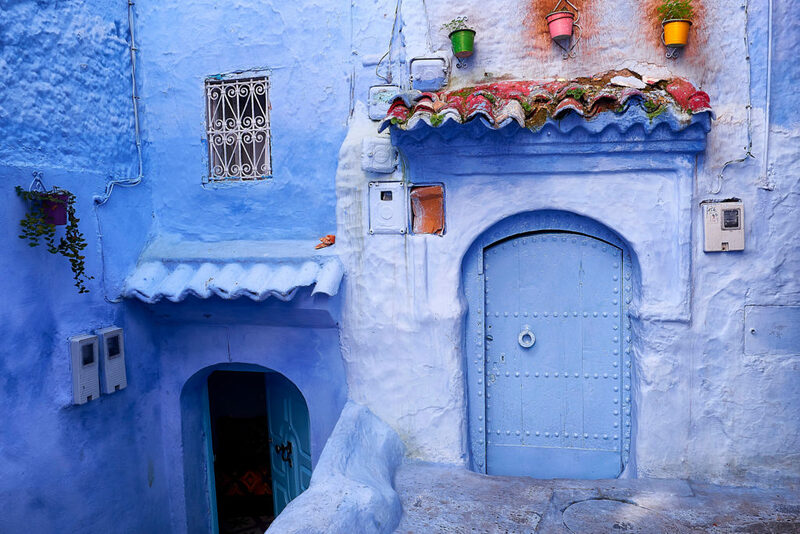 Some attribute the blue to an effort to repel bugs by making the houses look like water. And others still, say it’s a modern contrivance designed to attract visitors. 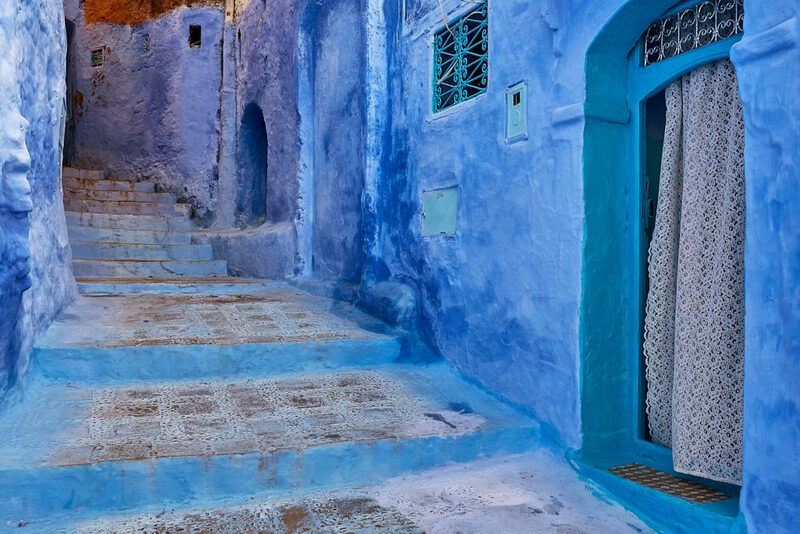 Whatever the reason, Chefchaouen is George Gershwin’s “Rhapsody in Blue” translated not simply into a different key, but into an effusive visual score, a virtual feast for the eyes.